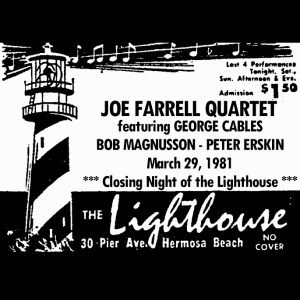 here’s a show by joe farrell (from the original return to forever among other things). it was the last performance at the lighthouse, a long standing jazz club in california. great show, and a super recording. according to bob rosenbaum’s website, this “was all captured on tape for a radio broadcast which never materialized.” i do not know if this was from that recording, but it seems a reasonable assumption. i received this tape back in 1982 from the same guy who did the art pepper interviews i seeded awhile back. he was friends with the soundman, and received a 1st gen tape, so mine is 2nd generation. i don’t believe this has ever circulated. the lighthouse was a landmark jazz club for many, many years. i hope you enjoy this…the closing night performance of this legendary club. joe farrell is one of the forgotten artists of the 60s, 70s and early 80s….he was an original member of return to forever, but is most known for his albums on the cti label. a good listen here, with a wonderful rhythem section will be an eye-opener to many. well, quite the week what with the elections & all. 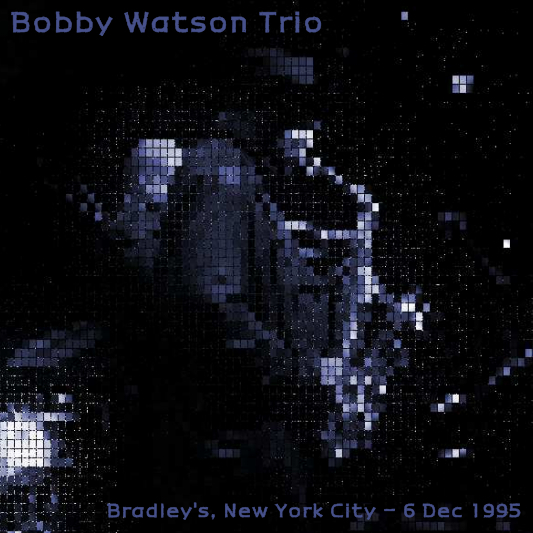 here’s something to get your mind off that: a smoking performance by the bobby watson trio. i’ve included the comments from the dime seeder (‘iceman’) for a change. song titles filled in from comments on dime tracker webpage. here’s one of the last concerts by the great art pepper, recorded just a week after “art pepper: unreleased art, vol. 1”. possibly from an fm broadcast — the quality is fantastic. go out now, and buy some art pepper cd’s (i’m planning on getting “the route”, art pepper & chet baker, plus whatever else catches my eye).